Other collateral: Recreational Vehicles, ATV's, Motorcycles, Boat, Motor & Trailer, Tractors, etc. 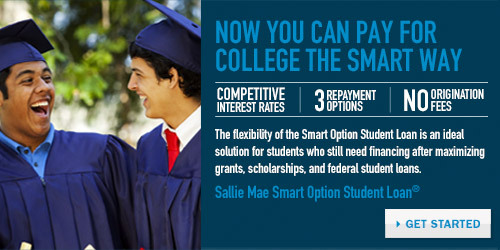 The loan is an ideal solution to help you pay for college expenses not covered by scholarships and federal loans. To learn more or to apply, please get started by clicking GET STARTED above. Get a quick credit result by applying online. It's quick, easy, and only takes about 15 minutes to apply. To learn more or to apply, please get started by clicking GET STARTED to the right. WE PROVIDE LINKS TO THIRD PARTY PARTNERS, INDEPENDENT FROM WHITE COUNTY FEDERAL CREDIT UNION. THESE LINKS ARE PROVIDED ONLY AS A CONVENIENCE. WE DO NOT MANAGE THE CONTENT OF THOSE SITES. THE PRIVACY AND SECURITY POLICIES OF EXTERNAL WEBSITES WILL DIFFER FROM THOSE OF WHITE COUNTY FEDERAL CREDIT UNION. © White County FCU, All Rights Reserved.